Today’s businesses need to grow and innovate faster than ever before in order to survive. And in this environment of so much uncertainty and change, leaders who do not have a strong moral compass are likely to struggle to live up to their values. As business educators, we always aim to develop leaders who are ethical and responsible, but a quick glance at the business news section of any newspaper should tell us we need to do more. We need to pay greater attention to preparing leaders for the complexity of decisions and trade-offs they will have to make. It is a false assumption that leaders enter their careers with a fully developed moral compass. Ethical judgment is learned and cultivated over the course of a career. It begins with an understanding of one’s personal values. It is not that our leaders don’t have values; they do. They just don’t know what they are, much less how to use them to work through the trade-offs associated with making ethical judgements. Ironically, the combination of ambition, high need for achievement, and little sense of one’s personal values can be a formula for disaster, even when a leader is well intentioned. 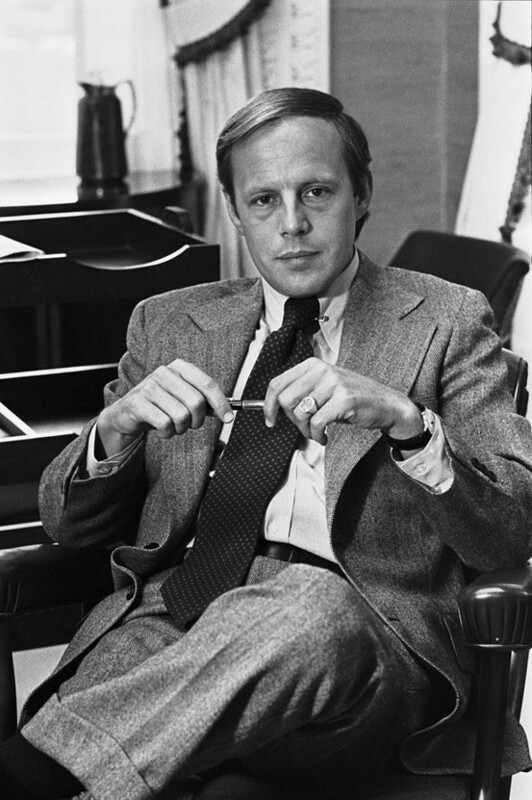 Consider the story of John Dean, White House counsel to President Nixon, whose memoir, Blind Ambition, discusses his fast rise through the ranks of government and ends with his conviction and incarceration for his participation in the Watergate cover-up. It is too easy to read a story like Dean’s and say he was simply a “bad person”. Read another way, Dean was nothing more than a relatively inexperienced leader who at the young age of 32 ascended to a powerful position, and then found himself ill equipped to navigate the complex interdependencies and responsibilities that the role entailed. Dean’s story may have a particularly dramatic ending, but his experience is not uncommon. Many leaders find it is harder than anticipated to exercise moral agency, given the often ambiguous and conflicting expectations of the stakeholders to whom they must answer. We as business educators have downplayed the self-inquiry, self-reflection, and sometimes personal transformation required for leaders to develop ethical judgment. Too rarely does our education focus on personal learning – on developing the mindset and values consistent with the responsibilities of leadership. With leadership comes not only rights and privileges, but also duties and obligations. 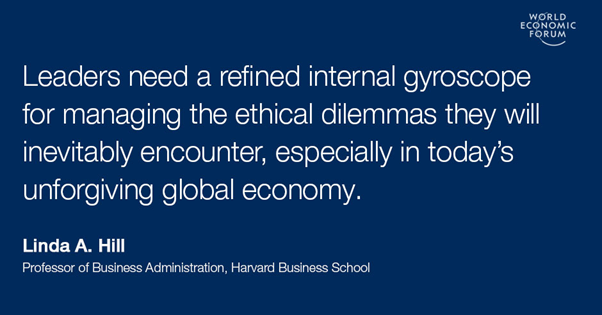 Leaders need a refined internal gyroscope for managing the ethical dilemmas they will inevitably encounter, especially in today’s unforgiving global economy. They also need to learn how to cope with the stresses and negative emotions associated with those encounters, challenges largely ignored in most leadership education. Their capacity to manage these complexities will be critical to their success in treating others with dignity and acting ethically throughout their careers. Exercising moral agency and courage requires leaders to continually consider and ask themselves these key questions: Who do I really work for? What are my rights and privileges? What are my duties and obligations? How do I assess my impact (intended and unintended)? What really matters to me? Who has benefitted from my business, and who should benefit? Only by grappling with these questions can leaders begin the journey of discovering what really matters to them, aligning their actions with their values, and raising their aspirations for how business can be a positive force in society.